Based on several authentic cowboy songs, Stampede!! opens at dawn with the Cowboy's Gettin' Up Holler - birdcalls included. 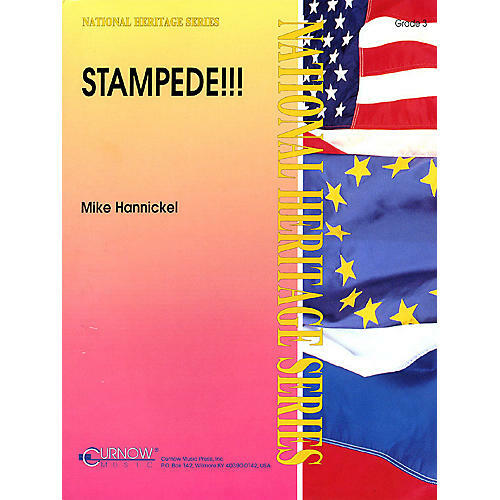 Lively fiddle and harmonica motifs and an eloquent scoring of Good-bye, Old Paint are just part of this contribution to Grade 3 concert band literature by Mike Hannickel. The Chisholm Trail (a true cowboy classic) figures importantly at the beginning and, in a driving re-harmonization, leads to the thrilling conclusion.